A small Island located just about 60 minutes from Hiroshima city by tram, Miyajima or Itsukushima island, is a very charming place that makes one of the three views of Japan. 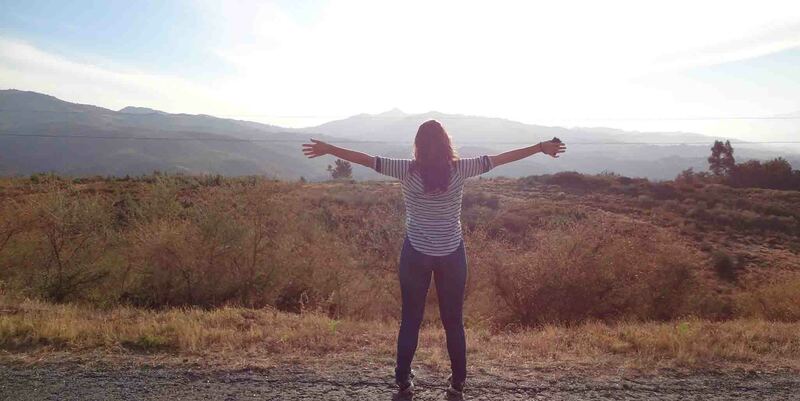 In this tourist hot spot, you can experience some adventurous as well as contemplating moments. We took the tram from the center of Hiroshima to the boat pier of Miyajimaguchi where the boats left for Miyajima island. It was a lovely bright day, perfect for a boat trip. Once there, we wandered through the small streets heading for the shopping street that although, now filled with tourist restaurants and some souvenirs shops as many other touristic places, still retains the charm of a small cobweb of shops in old traditional Japanese buildings. I have a vague idea of having lunch around here. We probably decided to enjoy some oysters yet again. These huge delicious Japanese Oysters, very typical from this area. I believe it was in the Kakiya restaurant. After lunch we headed up to the ropeway to visit and hike Mount Misen. This is always an amazing moment for me, I love getting to the top of a mountain, look down and see the incredible view and the tiny people walking around. Japan is perfect for this, as many towns have a sacred mountain nearby that provides this experience. Once up there, we enjoyed the view and because it was such a lovely day, decided to walk down. It’s always the safest choice, to go up by ropeway and then walk down. While on our long descent, we passed by a charming temple in the middle of nowhere, I assume while looking at the map, that this was Daisho in temple. We did not visit because the hike was taking us quite a long time and sun was already setting. We got back to the town just barely in time for some shots of the Itsukushima Shrine built in the 6th century as a Shinto temple. From this point we also visited, sitting next to each other, the 5 storey pagoda and the Senjokaku. The Senjokaku, otherwise forgotten by tourists, is a huge wooden contruction now dedicated to Toyotomi Hideyoshi who ordered its construction around the 15 hundreds, next to the already existing 5 storey pagoda. We headed to meet up with the two other friends who had been at a conference during the day and then together we went for traditional Hiroshima Okonomiyaki. Okonomiyaki is a dish typical from Osaka but in Hiroshima a new style was developed. Here Okonomiyaki is served with noodles. It was already quite dark and we decided to take the boat back to Hiroshima. We took the last boat, there were even some deers to give us a farewell. There is enough in Miyajima island to fill a whole day, so if you decide to just do a day trip be sure to start early, especialy In the winter since the sun sets pretty early. If you decide to stay overnight, and are not on a budget, there is an expensive Onsen Hotel just by the main road, you cannot miss it. From Hiroshima, we took the tram nº2 to Miyajimaguchi, which took around 60 minutes and 2,80 dollars plus the boat ride for 10 minutes and 1,80 dollars. Ferrys run about every 15 minutes and some are affiliated with JR allowing you to use the JR pass. There is also a direct ferry from near the peace park that takes 60 minutes and costs 36 dollars to go and come back. Once there, I definitely recommend the ropeway. Getting to the top of Mout Misen can be done free if you climb (through the trails it takes around 1h and a half, to 2 hours) but if you decide to take the ropeway it costs 18 dollars up and down or 10 just to go up. We did not enter Itsukushima shrine, but its one of the most recommended shrines in the island and costs 3 dollars to enter. It is appreciated together with the tori gate which is famous for seeming to float over water, making for a very picturesque souvenir photo. If you catch it on a low tide day however, they say you can even walk up close to it. Together they make for very beautiful sights both during the day as well as during the night since the light stay on for a while after it gets dark. As I mentioned on the post about Hiroshima, this is one of the main areas for Oysters in Japan. Kaki furai and Kaki don, deep fried oysters with rice as well as grilled oysters usually drank with beer, are major dos here. Looking back, I would have photographed the Isukushima temple a lot more. Trying to capture the perfect photo, both during the day and night. Also, honestly, were I more confortable with my money, I would have stayed at that expensive onsen hotel, had some very nice onsen time, worn my yukata and slept like a baby girl. However, I was able to eat all the oysters and momiji rice cakes I craved for, making me very happy with this trip altogether. Back to Hiroshima, we still had a full day to walk around before leaving for Sendai, so I’ll be working on that. Welcome to this webpage where I have been registering memories from my travels. At this moment I am still writing about my travels in 2015. I wanna say that I am now starting a new business. 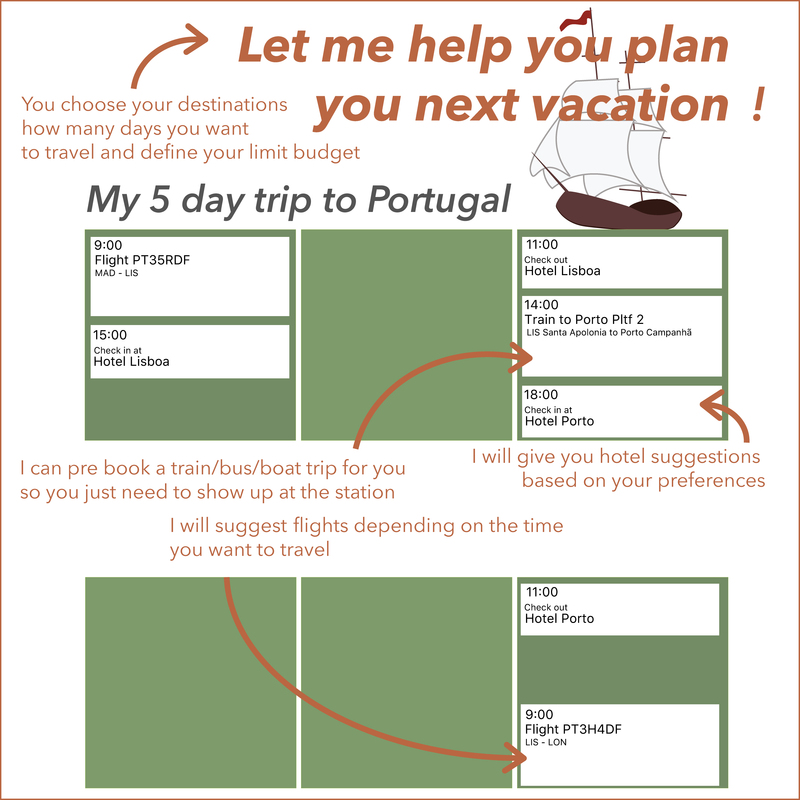 I want to help you plan your own travels. More than traveling, planning and organising are my life passions. Contact me using the form in the planning a trip? section and tell me about you and your expectations.